I answer, therefore I am! At a time when various governmental resolutions are regularly being issued condemning the human rights violations of its Islamic government, Iran continues its record of misdeeds in spite of what the rest of the world thinks or does. Among these ongoing actions is the treatment of religious minorities, specifically the longstanding persecution of members of the Baha’i Faith, dating back to the mid-19th century. In a recent incident, a young Baha’i woman now faces expulsion from a high school in Shiraz, the province’s capital. Why? Sadly, the reason is because of her religious belief. When classmates showed her an anti-Baha’i pamphlet supplied by a school instructor, she innocently answered their questions and clarified the many misconceptions the pamphlet contained. Even though her response came at the request of other students, a vice-principal threatened the Baha’i girl with physical punishment. At the end of the day, he announced her name over the school’s PA [public announcement] system and later confronted her in front of other faculty members and a few parents. Startled, she kept silent as the vice-principal rebuked her with a warning that if she ever again spoke about the Baha’i Faith she would be severely punished. He told her that if she thinks so much of her religion that she wants to teach it to others then he would teach her a lesson. “You guys are working for the British.” he told her, “and you receive money from them. You are not pure. You’re just a hand full of dirt.” As he continued to insult the young woman in a loud voice, a crowd started to gather outside the office. Many were wondering what the calm, self-disciplined student had done to deserve the ire of the angry vice-principal. Just last week, a similar incident took place in another girl’s school where accusations and insults were made against the Baha’is during the school’s recess period. The verbal attacks were so vicious even the Muslim students started to protest. While young Iranians have come to regard their schools as a kind of second home, schools are now becoming centers for intolerance and religious persecution. All this satanic attention focused on the innocent sentiments of young students in a country whose current president claims it is the most liberal in the world! In a withering war of attrition, the number of Baha’i students attending school continues to decline. Last year there were many Baha’i students at both of the above schools. Now their number has been reduced to just one student at one school. It seems that the officials involved can’t stand to have even one Baha’i in their respective student bodies and they want to expel her at any cost. But expelling Baha’i students isn’t something new. 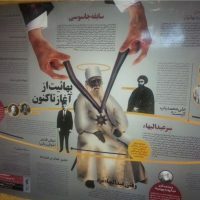 Religious intolerance is growing in Iran, giving new life to old belief systems like the Hojjatieh group [an anti-Baha’i group; see http://en.wikipedia.org/wiki/Hojjatieh]. These incidents are emblematic of the depth of hatred towards the Baha’i Faith and its followers in Iran. The Baha’is of Iran have faced these attacks head-on for generations, all the while giving thanks to the Almighty. For as shameful as these attacks are they have also advanced the Baha’i Cause. Prior to the incidents at the two schools only a few people knew anything of substance about the Baha’i Faith. Now, due in large measure to the outrageous actions of two vice-principals at different schools, more than four hundred students learned more about the Baha’i Faith. This is an accomplishment that the Baha’i student was not able to achieve in three years — the vice-principal did it for her in less than three hours. This by itself is a sign of the greatness of the Cause of God — that the enemies of the Faith become the unwitting promoters of the very process they try to stop. Still another aspect of these kinds of incidents is the utter lack of self-control and patience exhibited by those who are intolerant of others. In the case of the first vice-principal, once he came face to face with the young woman’s parents, he began reciting Qur’anic verses condemning all infidels — claiming that Muslims are very kind human beings among themselves but are free to be harsh and ruthless in facing off against infidels. 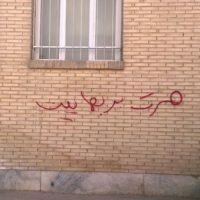 Naturally, one questions this kind of puerile statement, because we are reminded of all the vicious actions that Islamic fundamentalists have carried out against Sunni Muslims from Sistan and Baluchistan — destroying a Sunni mosque, for example, and the many arrests that were made among the Muftis of Kurdistan. This same vice-principal simply cannot be taken seriously. In addition, no one can rightly call a Baha’i an infidel when they believe in one Almighty God– the same God as in Islam or Christianity, for that matter. Any reasonable person who truly has something to say doesn’t need to shout insults or intimidate others with foul language. It is, rather, those who are unreasonable themselves who seek to hide their ignorance by raising their voices. Sadly, it is among this last group that the vice-principal belongs. By insulting the young woman in front of other students and doing everything he could to demean her, he only debased himself. 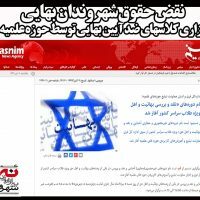 In the end, we are left with two questions – the first is whether or not these two schools are exemplary of Iran’s educational system or just scandalous exceptions; and, second, how on earth can anyone justify the existence of anti-Baha’i classes? The mere existence of organized, systematic instruction that distorts the truth and promotes religious prejudice is nothing less than brainwashing, and should not be tolerated by any society, anywhere in the world. The answer as to why the Leader of Iran is committing these crimes is summed up in Daniel 11:37! What composure and faith that girl must have had to stand there to stand before her virulent vice-principal with total equanimity…I would have certainly broken down in tears if I were in her situation. Kudos to her and other Baha’is facing similar tribulations – let our enemies do a bit of the spreading for us! They tend to reach audiences that we could never dream of having. Falsafi’s 1955 Ramadan “radio sermons” are solid proof of that.